Many modern and contemporary artists use found objects (AKA, pre-existing objects/materials) in their work. 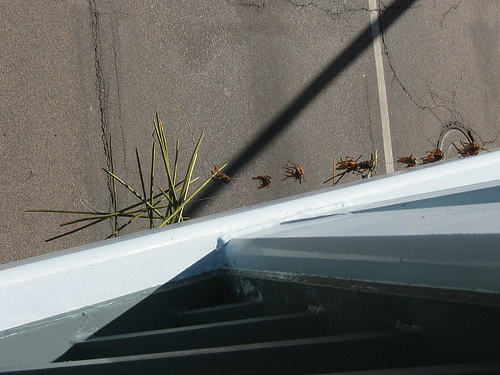 Yesterday, while crossing the Irene Hixon Whitney Bridge, I stumbled upon such a piece. 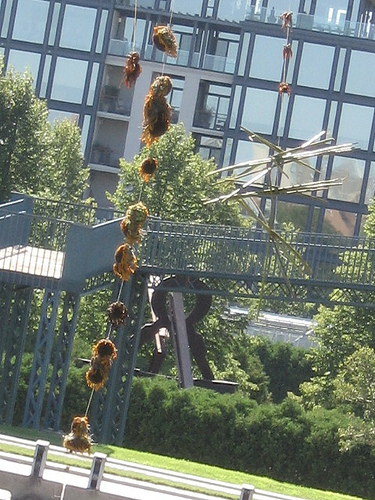 Hanging down from the Loring Park northbound side of the bridge was a sunflower and twig mobile, just swinging in the breeze. 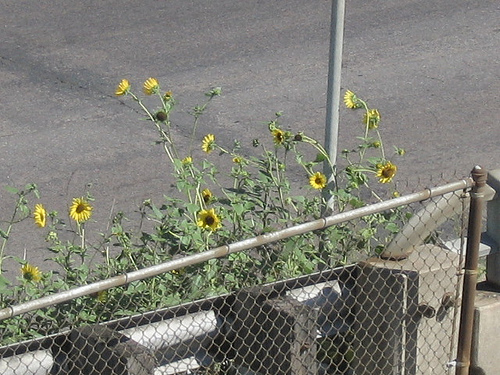 I believe the artist used the sunflowers growing in the median of Hennepin Avenue. I liked the resourcefulness of the artist, and the fact that it was installed in close proximity to the found materials. Plus, it was located in between the Walker and the Loring Park Art Festival — great timing!